Finally, the end is within sight. Tomorrow, the WEMBA Class 37 cohort starts its final term – 8 more sessions to go to graduation! It was a great few weeks away from school for those of us that did not sign up for Global Consulting Practicum projects or Global Modular courses in different parts of the world. Was a good time to reintroduce ourselves to our near and dear ones and spend more time with them through the holidays :). To keep with the long-distance running analogy that this blog has had about the WEMBA program, these are the last few miles where it will be mind over matter and willpower over pain. You can see the folks that are headed towards top academic honors in good form, head over shoulders straight back and clockwork strides one after the other. For the rest of us, now’s when we’re dragging one foot in front of the next, heads drooping and backs stooping as we look ahead towards that finish line so close, yet so far away. Many made the wise decision to load themselves up with global modular courses earlier in the program and/or GCP/DCP projects. They need very few credits to graduate – I expect to see them hanging out at the pub and in general taunting the rest of us for our misery. Unfortunately, the program saves the best for last – this term is filled with electives that are all interesting and it is a tough call to decide what to pick and what to drop. Look forward to a few posts around entrepreneurship, marketing strategy and impact investing in the upcoming months. 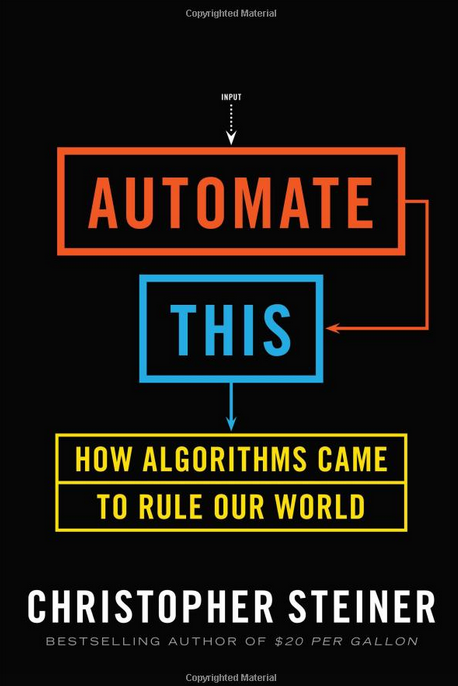 Speaking of reading and learning, I just finished reading Christopher Steiner’s Automate This, a fascinating collection of stories from different walks of our lives where algorithms have taken over. Without giving away too much of the anecdotes, let me just say that he presents real anecdotes from Wall Street, music composition, and even call centers. This completes a sequence of three awesome books through the break – Nate Silver’s book and Chris Anderson’s book being the other two. Looks like the year is off to a good start, so I look forward to more of these in the coming months! Classes started for us this week as well. See you on the other side of the home stretch?